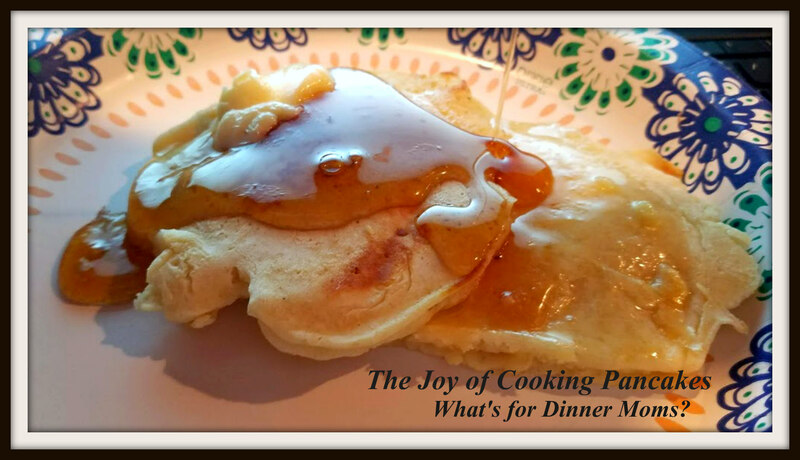 Joy of Cooking Pancakes – What's for Dinner Moms? Some nights dinner needs to be easy and be comforting. We are getting ready for some icy, rain, sleet combination tonight. Getting ready means that we pull everyone home and cancel all plans. We have a fire in the fireplace and finding all the candles in the house, just in case. We stopped at the store for the obligatory bread and milk. But, we also got yeast, cheese, granola bars, and fruit cups to have for baking and snacks. I hope to make some real hot cocoa and maybe a few loaves of bread. But, first we have pancakes. This pancake recipe from The Joy of Cooking was the first one we made from scratch about 25 years ago. Before that all we made was Bisquik mix pancakes. We learned quickly how easy it was to make pancakes from scratch and they taste so much better. These are a dense, heavy pancake. They are not light and fluffy. These are stick to your ribs old-fashioned pancakes. A hearty stick to your ribs pancake. Whisk together flour, salt, sugar and baking powder into a large bowl. Combine eggs, butter and milk in a second bowl. Mix the liquid ingredients quickly into the dry ingredients – don’t over mix. Add more milk to thin out if necessary. Allow mixture to sit for 10-15 minutes before cooking if possible. Pancakes will be lighter if rested first. Heat griddle prior to adding batter. Test to see if it is hot enough by dropping a few drops of water into the pan. The water should “dance” across the pan. If the water evaporates the pan is too hot, if the water sits and bubbles it is too cold. You may add a bit of butter to the pan before cooking if desired. Pour the batter from your spoon into the pan. Wait 2-3 minutes before turning the pancake. When bubbles start to appear across the pancake surface they are ready to turn. Turn the pancake only once. Check the second side to see if it is done and then remove the pancake to a platter warming in your oven. Continue with steps 6-8 until all pancakes are done. Serve with warmed maple syrup and butter if desired. 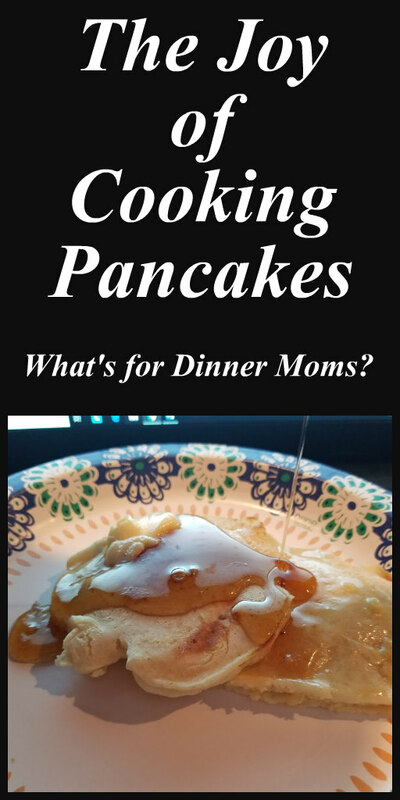 I’ve made the first recipe in my version of Joy of Cooking (it’s an older one), which I think is the one you used, and also the French pancakes–they’re much thinner and lighter, and more suitable for powdered sugar, jam, and other spreads. I’ve enjoyed both. This is from the 5th edition of 1963. That inspires to make some again! Pancakes are always good. Especially for dinner! Absolutely! For a few years we had salty pancakes for our Christmas Dinner. The kids made it a tradition. Thank you so much! I love my Joy of Cooking cookbook! I was just thinking I need a pancake recipe, been relying too much on the box brands. Can’t wait to try this later. Thank you for the recipe. Pancakes ❤ it's always better to make them from scratch.